Within the US Army Research, Development and Engineering Command (RDECOM), the Aviation Applied Technology Directorate (AATD) at Fort Eustis, Virginia develops, demonstrates, and applies technologies that enhance and sustain Army Aviation. AATD has three technical divisions – Power Systems, Platform Technology, and Systems Integration supported by a Rapid Prototyping Division. The Directorate’s five-year Program Objective Memorandum (POM) from Fiscal 2008 to 2013 includes $330 million for 6.2 exploratory research and $529 million for 6.3 advanced development. The primary AATD customers are Army Aviation Program Executive Officers and Program Managers, and the Special Operations community. Sandra Hoff came to AATD as an intern in 1982. In 2002, she became the deputy commander of an S&T organization with around 240 people, two-thirds of them engineers. As a project engineer, Ms. Hoff was part of the technical evaluation team for the T800 turboshaft then under development for the RAH-66 Comanche. She worked on the H-60 Competitive Production Engine and the Multi-Purpose Small Power Unit. She joined in the first stages of the Joint Turbine Advanced Gas Generator (JTAGG I and II) program under the umbrella of the Department of Defense Integrated High Performance Turbine Engine Technology (IHPTET) initiative. From 1997 to 2002, Ms. Hoff served as Chief of the AATD Power Systems Division, planning and directing exploratory and advanced development programs in turboshaft engines and drive systems. The division is also responsible for the development of ground support equipment. 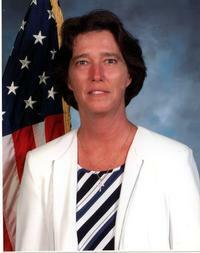 In September 2002, Ms. Hoff became the deputy commander of AATD as the Global War on Terror changed Army aviation priorities and made new demands on the organization. Support for Operations Enduring Freedom and Iraqi Freedom became a priority for the Rapid Prototyping Division. “We have done a tremendous amount of work out of that division,” says Ms. Hoff. Rapid Prototyping technicians quickly integrated the Common Missile Warning System (CMWS), Blue Force Tracker, satellite communications, and other battlefield enhancements into Army aircraft. The Rapid Prototyping Division draws people from the S&T groups as needed and practices “protoduction” to build short runs of needed items for deployed units. “Since 9/11, there have been a lot more requests from the PMs and others to get things done and get them rapidly into theater,” notes Ms. Hoff. The AATD rapid prototyping division has design expertise, fabrication shops, ballistic test ranges, a structures lab, and flight test aircraft to support the technical divisions and outside customers. The current fleet includes UH-60A and L and AH-64A and D test aircraft, a King Air utility turboprop, and UH-1H, AH-1G, and T-34 chase aircraft. A CH-47D Chinook was borrowed from the Army Reserve for integration of the Brown-Out Situational Awareness Unit, and other aircraft can be brought in on loan for special programs. Included in the UAV efforts are AMUST-D (Airborne Manned/Unmanned System Technology) and the Hunter Standoff Killer Team (HSKT) Advanced Concept Technology Demonstration (ACTD). The Systems Integration Division is also developing behaviors under the Unmanned Autonomous Collaborative Operations (UACO) program. The directorate has also teamed with the Defense Advanced Research Projects Agency on the A160 Hummingbird, and contracted Boeing Mesa to use the optionally piloted Little Bird as an Unmanned Light Attack Reconnaissance Testbed (ULART). AATD has limited Airworthiness Release (AWR) authority to qualify experimental and new equipment on aircraft in specific units for contingency operations. It works with Aviation Engineering Directorate in Huntsville to expedite AWRs. Ms. Hoff explains, “We try to bring them in early to the process so whatever we are doing is consistent with what they would need to do for full qualification.” AATD Field teams also continue to deploy to combat theaters to install and support CMWS and other equipment in field units. The AATD Platform Technology Division meanwhile continues SARAP, the Survivable, Affordable, Repairable Airframe Program. Working with Bell, Boeing, and Sikorsky, it aims to reduce the weight of ballistically tolerant airframes 25% and cut both schedule and cost 40%. “We’re trying to reduce the development time, which in turn makes the aircraft more affordable,” says Ms. Hoff. Future work in the Platform Division will include more durable rotors, self-healing systems, and active vibration control. The AATD Power Systems Division achieved notable success with Boeing and Sikorsky on RDS-21 – the Rotorcraft Drive System for 21st century. The efficient face gear technology from that effort improved horsepower-to-weight ratios 35% and will transition to production on the AH-64D Block III Longbow Apache. The Versatile Affordable Advanced Turbine Engine (VAATE, the successor to IHPTET) initiative is pursuing small heavy fuel engine technology to provide a 700 hp engine applicable to the Fire Scout UAV, Special Operations Little Bird, and the Armed Reconnaissance Helicopter, and provide a foundation for other Army platforms. The VAATE program, starting in 2008, aims to reduce specific fuel consumption 25%, increase power density 80% and trim operating, support, and production costs 35%. Such programs aim to continue US leadership in rotorcraft technology edge. “We look at what the state of the art is and make a technical judgment with our next four to five year program on how far we can push the technology,” explains Ms. Hoff. AATD issued five concept refinement contracts last year for a vertical takeoff Joint Heavy Lift (JHL) aircraft. The contracts are meant to identify the art of the possible and technologies to support a JHL joint requirements document in Fiscal 2007. A transition program could fly a JHL concept technology demonstrator around 2012 and a prototype around 2015 for a first unit equipped around 2022. A Joint Multi-Role rotorcraft may be the subject of a similar program in the next five years.